Posters may seem like it has faded in usefulness over the years, but they’re still pretty effective marketing tools. Posters may seem antiquated, but they’re a really simple form of getting information out there. There’s a big reason posters haven’t disappeared with the digital age and it’s because it’s an amazing way to let people know about events, sales, or anything new going on with your business. While posters are designed digitally these days, they’re still printed and distributed just the same way they’ve always been. Let’s take a look at some of the reasons posters still work well. Posted in Professional Printing in Baltimore | Comments Off on Are Posters Still Effective? If you haven’t started your Halloween marketing campaign already, now is the time! Halloween is nearly upon us and if you haven’t gotten started with your Halloween-themed marketing campaign, now’s the time. It’s not just limited to those who service the holiday industry either, any company can hop on board the Halloween marketing ship as long as you’re willing to show a little creativity. 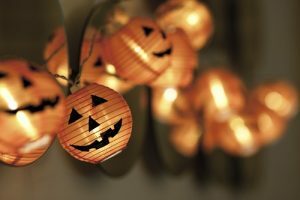 Whether you’re a retail outlet or a repair shop, there’s a number of ways you can use these Halloween marketing tips to drum up business. What Material is Best For Your Sign? Different sign materials are appropriate for different applications. Which one is for you? Utilizing a sign can be great for a number of applications, from big business needs to someone throwing a yard sale. Nothing grabs a potential customer’s attention like a well-designed sign, but there’s also the decision of what material to make it out of. 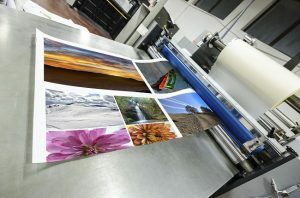 Let’s face it, there’s a lot of options out there, which can make the decision somewhat overwhelming for someone who isn’t familiar with all the printing industry lingo. Our goal at Time Printers is to make life easier for you, so let’s clear up any confusion that may exist about materials for your sign. Posted in Professional Printing in Baltimore | Comments Off on What Material is Best For Your Sign? What Are the Benefits of Flyers for Your Business? Flyers are a cost-effective method of getting your name out there. Every business strives for the same thing: to get the word out there about who they are and what they do. Between social networks and online deal sites, digital platforms are popular for reaching customers. But traditional aspects of the promotional mix are by no means dead. 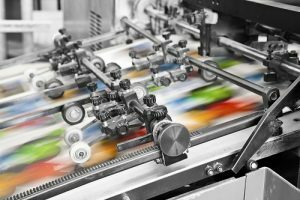 For instance, today we will be taking a look at flyers, and we will see how one of the oldest methods around shapes up for modern day business and the benefits that you may be missing out on. Posted in Professional Printing in Baltimore | Comments Off on What Are the Benefits of Flyers for Your Business?